NAN, Abuja: Comptroller General of Customs, retired Col. Hameed Ali, has confirmed Joseph Attah as the substantive Public Relations Officer of the service. Ali has also redeployed 337 Assistant Comptrollers to various area commands across the country. Mr Abubakar Dalhatu, the Deputy Public Relations Officer, announced this in a statement on Wednesday in Abuja, saying the redeployment was with immediate effect. Attah, before his confirmation as the substantive PRO, worked as the Deputy PRO of the service and was later appointed as the acting PRO in January following the transfer of the former spokesman, Mr Wale Adeniyi to Apapa, Lagos. Before moving to the Public Relations Unit, Attah had also worked in various units of the service, including the Intelligence Unit, Tincan Island Port, land border and excise. Dalhatu said that the redeployment was part of the ongoing repositioning of the service. He said the comptroller-general charged the affected officers to support the leadership of their new commands in the renewed efforts to entrench a more transparent culture of service delivery. 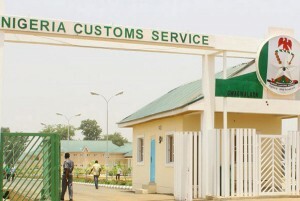 Dalhatu quoted the customs boss as saying “so much is expected from NCS in terms of economic and security well being of the country; we cannot afford to fail the nation”.